Potatoes with Swiss Chard, Kale, and Zucchini. Today I decided to walk home for lunch and cook a meal that I could prepare and enjoy in less than an hour. 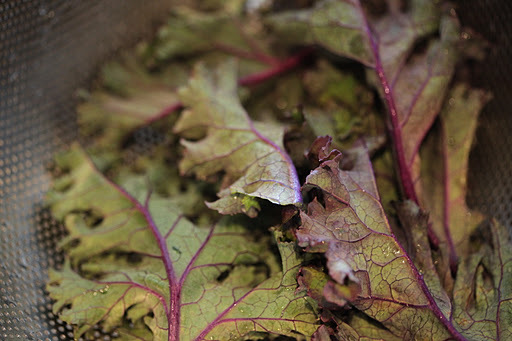 A lovely side dish or main entree, this dish is comprised of potatoes, red onions, kale, Swiss chard, and zucchini. Prepared in under 30 minutes, you can add a meat to the dish to round it out or keep it vegetarian. Either way, it’s savory and satisfying. 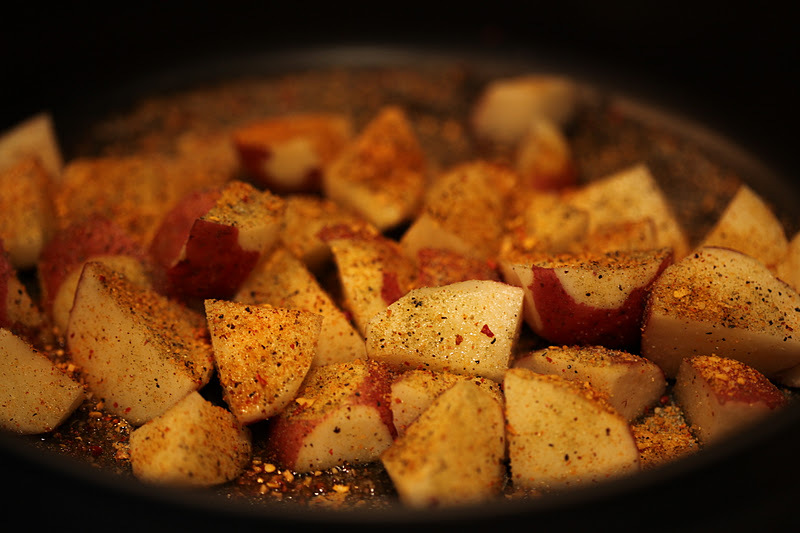 First step is to cook the potatoes with a little bit of olive oil and seasoning. I used a garlic mix, seasoned salt, and Cavenders. 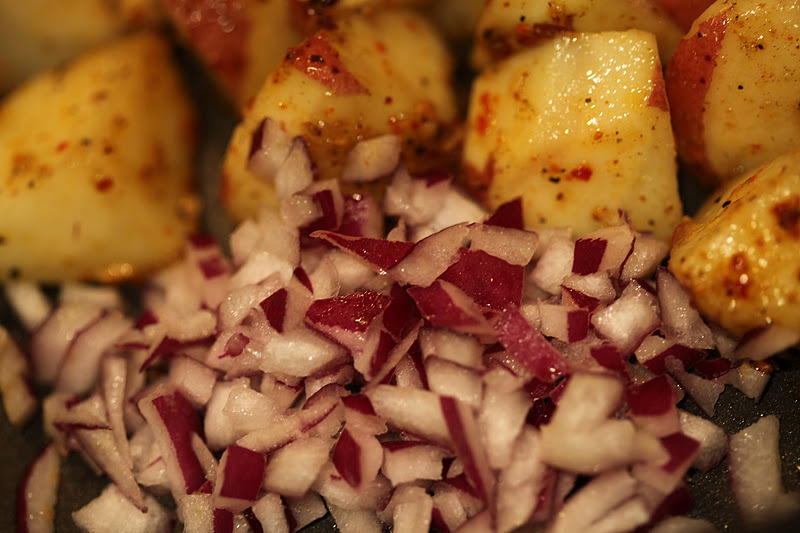 For extra flavor, I added some chopped red onions as well as cumin and coriander. The potatoes continued to saute in a covered pan while I washed and prepped the rest of the ingredients. Overall cook time for the potatoes is approximately 20 minutes. 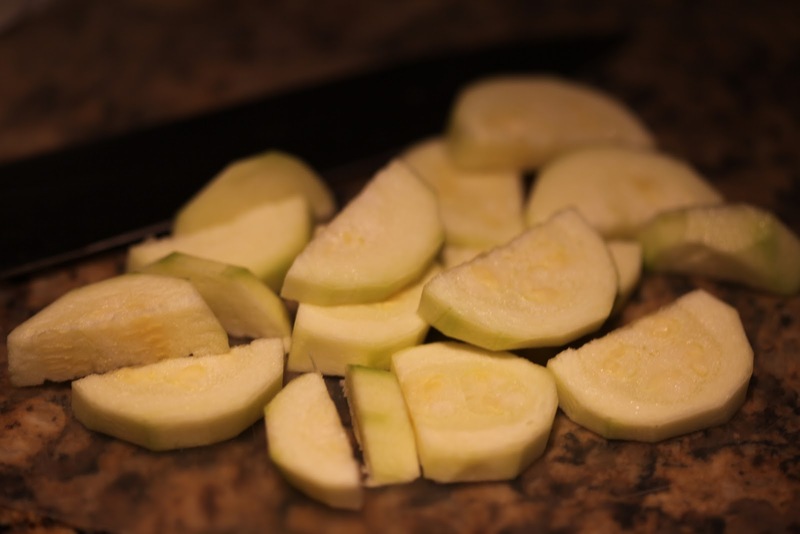 About 10 minutes into the cooking process, I added some sliced and peeled zucchini. I wanted to provide some more greens in an otherwise starchy meal. 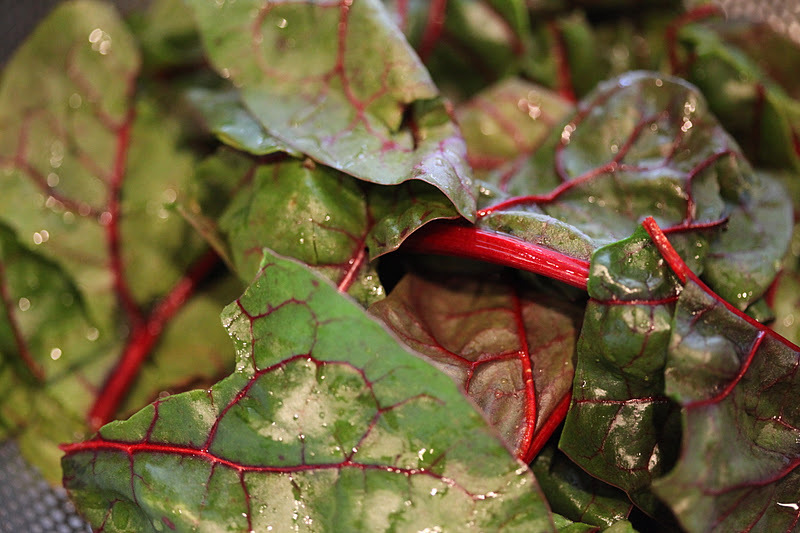 About 15 minutes into the cooking process, I added some Swiss chard. Then I also added some kale that had been in the fridge too long. Both greens provide protein and nutrients, as well as a nice flavor balance. Adding just a touch of water to the pan and covered it to allow the greens to wilt a bit. This completed the entire meal in about 30 minutes. Total cook time, 20 min plus 10 min prep. Calories: approx 280 per serving. dude, it would take me 30 minutes just to wash and chop everything. no way! the potatoes were scrubbed/peeled/cubed in 5 min, and the greens were worked on while those were cooking. you can do it — just don't have to do all the prep ahead of time. Hi, I happened on your recipe this morning by googling potato + zucchini + kale which are the ingredients I had in the frige this morning. Thanks for the yummy recipe! And, yes, definitely less than 30 minutes. Nicely done! ← Kale, Avocado, and Blueberry Smoothie.